More Website Templates @ touchit.pt - July 30, 2014! The first document to mention Villa de Comite dates back to the year 953. 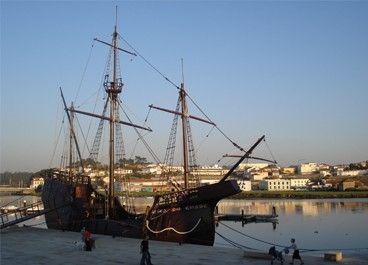 A city with river and sea, it reached its commercial and maritime peak with shipbuilding, very tied to the Portuguese Discoveries, whose tradition remains until today. Vila do Conde, a city in the Oporto district, is a city with a big investment on preservation and restoration of monuments and, at the same time, a strong bet on the future, through projects that aim to lure different target audiences and adapt the city’s offerings to different necessities, ages, tastes and expectations. 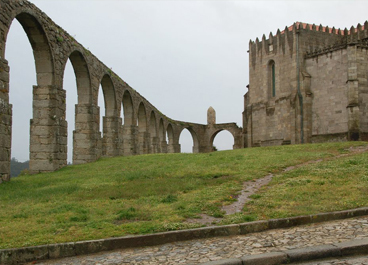 Thanks to a great architectural value, if offers a wide variety of monuments for visiting, such as the Monastery of Santa Clara, the Chapel of Socorro, the Main Church, Fort of S. João Baptista, the hermitage of Senhora da Guia, whose construction points to the 10th/11th century, sunny houses, the aqueduct, and many others have been object of many preservation and restoration actions, in order to keep its hostorical and architectural value. Along the coast of the municipality of Vila do Conde, there is 18 km of beaches that contrast with the rurality of the 30 parishes of the interior, where one can find different pre-history legacies, such as the Hill Fort of S. Paio, the Settlement of Bagunte, the church of Rio Mau, the homes and rural and emblazoned manors, as well as many other traces of Romanesque presence. Bobbin lace (a secular tradition), the rag blankets, the woollen sweaters (typical of a fishing village) and the forged iron metalworks are exemples of the strong value of the handicraft in the city of Vila do Conde. As for gastronomy, the conventual pastry is a highlight, made from the ancient recipes of conventual houses, safely concealed. In the Summer, Vila do Conde is home to cultural events of great prestige, which attract many people of different cultures and nacionalities, like the Short Film Festival, the Nacional Handicraft Fair, the Gastronomy Fair, the Agricultural Fair, the Festivities of S. João, patron saint of Vila do Conde and, every 4 years, the Festivities of Corpo de Deus with streets covered in flower carpets made with joy and devotion by the community of Vila do Conde. Because of all this, Vila do Conde is a good destination for all who like culture, history, tradition, handicraft, gastronomy, cinema and theatre, the beach and camps… It’s the perfect destination for many and Hotel Brazão, located in the city center, is the ideal option for lodging yourself.